ASX small cap, BPH Energy (ASX:BPH), has released a positive update on its progress across its diversified medtech and biotech operations. BPH has now raised $982,504 from the rights issue announced back in October, of which $661,070 has been through shortfall applications. Together with applications received under the offset the rights issue, applications now total $1,141,040. With this capital behind it, BPH is well-placed to implement its corporate strategy. The company is busy progressing the commercialisation of its Cortical Dynamics Brain Anaesthesia Response (BAR Monitor or BARM). 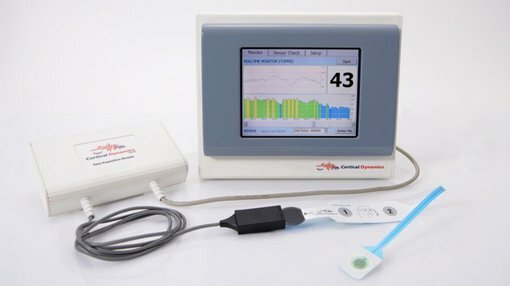 The device measures a patient’s brain electrical activity (EEG) to indicate the response to drugs administered during surgery and is the only monitor to use EEG analysis based on a model of brain electrical activity. The BAR monitor is the core product of Cortical Dynamics, of which BPH holds a 4.47% interest, as well as a right to convert debt and increase its shareholding in the group, which could take its stake to approximately 15.7%. In early November, Cortical CTO Louis Delacretaz attended the Korea Anaesthesia 2018 congress in Seoul. During the congress, many anaesthetists showed strong interest in the advantages of the BARM, as compared to other monitors. Moreover, the monitor's benefits to anaesthetists include it facilitating the use of the optimal dose of anaesthetic agent and the delivery of higher quality and more reliable service to hospitals and patients. It also reduces the risk of litigation due to patients experiencing awareness during surgery. Prior to the congress start, Delacretaz attended a series of meetings organised by Austrade with anaesthesiology professors from Korean universities. These professors have been actively seeking a substitute for their current monitors, with strong concerns about the credibility of the current devices’ readings. They were very interested in a means to determine patients’ pain levels — and, subsequently, in trialling the BARM as a substitute device. Cortical Dynamics’ Korean distributor, Globaluck, also introduced Delacretaz to a number of heads of leading teaching and research hospitals while in Korea. Cortical has now engaged an international testing and certification organisation to test and certify the BARM to comply with the Korean certification process. The assessment also includes the latest medical safety standard deviations for Australia, New Zealand, European Union and the USA. Cortical has also engaged Enable Funding to undertake a capital raising of up to $2 million at a price of 10 cents per share, and is also in discussions with other parties on further funding. As revealed in October, BPH also plans to pursue a complementary strategy of investing in the burgeoning medical cannabis sector. This buzzing space is showing significant growth with current developments boosting its viability. As reported by EverBlu research, legislative changes show rapid acceptance and growth. In the last fortnight, Thailand, Israel and South Africa have all made considerable changes to laws relating to the exportation and legalisation of the drug for medical purposes. In the US, the Food and Drug Administration (FDA) is looking for pathways to legalise the sale of CBD (cannabidiol) oil and other cannabis-based compounds in food and beverages - a move that could remove one of the last remaining legal hurdles for companies hoping to sell these kinds of products across state lines. New Zealand has also legalised medical marijuana, and is set to hold a binding referendum on personal weed use at the 2020 general election. In one of the most unexpected pot-related moves of 2018, South Korea's government has approved the legalisation of medical marijuana as soon as early 2019. BPH is looking to tap a fertile market here. According to a report by Global market Insights, the global medical cannabis industry alone is projected to surpass US$55 billion (A$77.4B) by 2024.